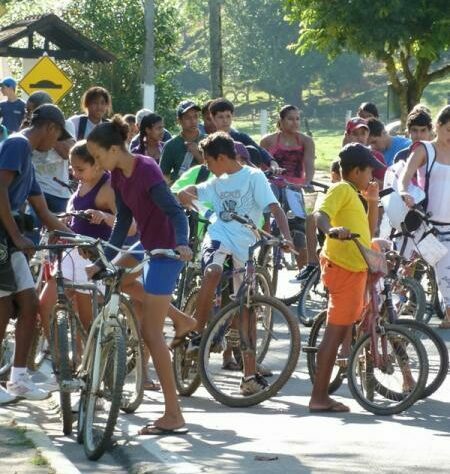 Forty young people from the local villages took part in the third bike ride organised by conservation organisation, REGUA (Reserva Ecológica de Guapi Assu), to raise awareness about the need to protect the Atlantic Rainforest. “The cycle ride started at 8am to beat the heat of the day; some of the children told me they had been so excited they had been up since 5am – even before their parents! “Many of the Young Rangers took part, most of them on bikes borrowed from family members – very few of the children own their own bikes. “We followed in the REGUA bus, acting as the support vehicle with all the water the cyclists needed. It also served as transport for the tired ones. It was a hot morning, especially by the time the ride was over so many pit-stops were made along the way in the shade of trees. “The route was 8km long and began in centre of Guapiacu. 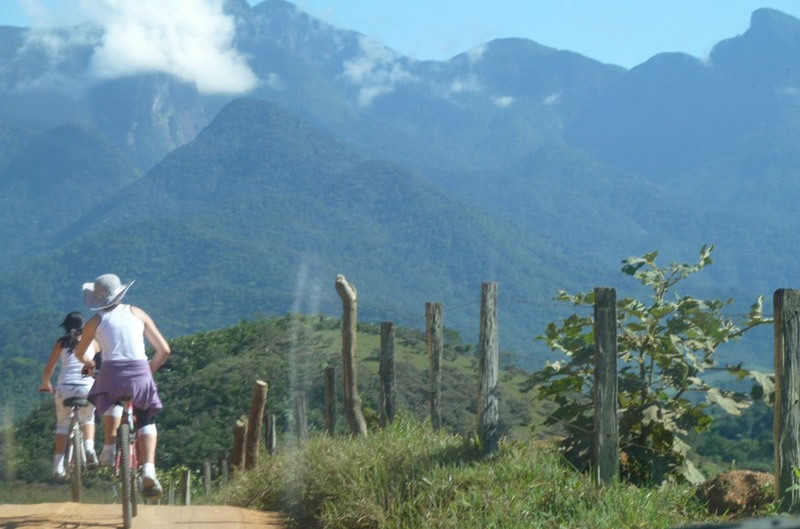 The children cycled along the dirt tracks as the route wound its way through the local villages of Areal and Matumbo, the foothills of the mountains and across the Guapiacu River. The ride ended in back in the centre of Guapiacu where all the participants gathered for all raffle – the prize was a brand new bike donated by REGUA. Very few children have their own bikes but were able to borrow them from friends and family to complete the 8km cycle. 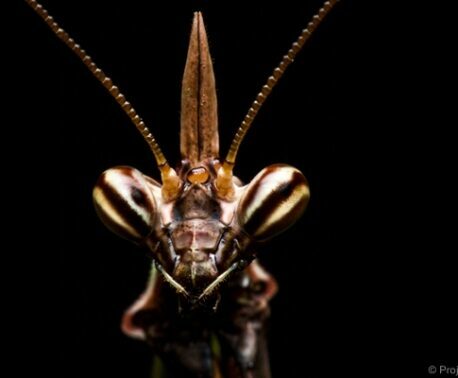 © Helen Cavilla. “After a dramatic prize draw, the winner was revealed to be Marcelo, a Young Ranger who didn’t have his own bike – he was delighted! The children then gathered at a well-deserved barbecue, they were certainly hungry by this time. Helen Cavilla is volunteering at REGUA for six months, as a sabbatical from her job as an Education Officer at Newquay Zoo in Cornwall. A World Land Trust (WLT) partner organisation, REGUA own the Guapi Assu Reserve protecting over 18,000 acres (about 7,284 hectares) of Atlantic Rainforest, nestled on the slopes of the Serra dos Órgãos mountains in the coastal state of Rio de Janeiro. Newquay Zoo have supported WLT for several years through Wild Spaces Programme, a programme that gives Zoos and aquariums the opportunity to support in-situ conservation. 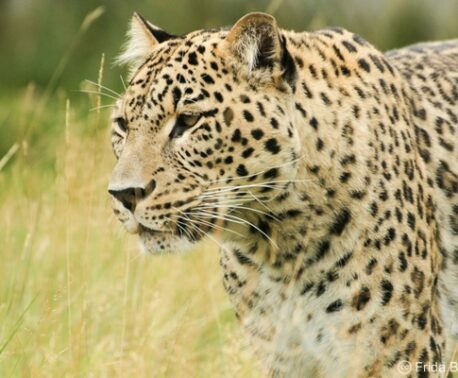 Newquay Zoo, along with other BIAZA (the British and Irish Association of Zoos and Aquariums) members has funded land purchase in Brazil – successfully enabling REGUA to extend their reserve by 1,651 acres. In December 2010, a group of representatives from BIAZA zoos and aquariums went to see first-hand what was being achieved with their donations. It was on this trip that Helen became passionate about volunteering at the reserve. Helen will post regular updates about her experience, learning about the challenges that face REGUA as they work tirelessly to protect the Atlantic Rainforest.